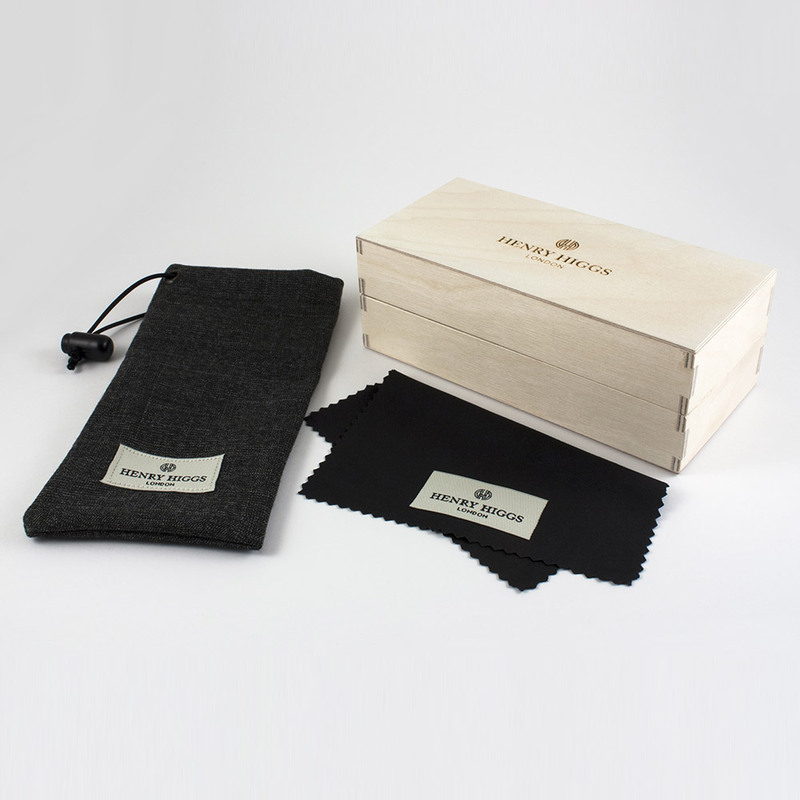 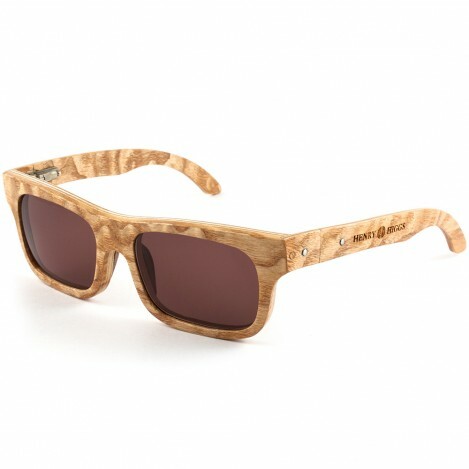 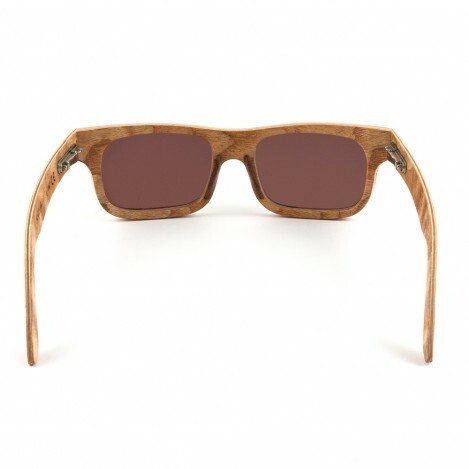 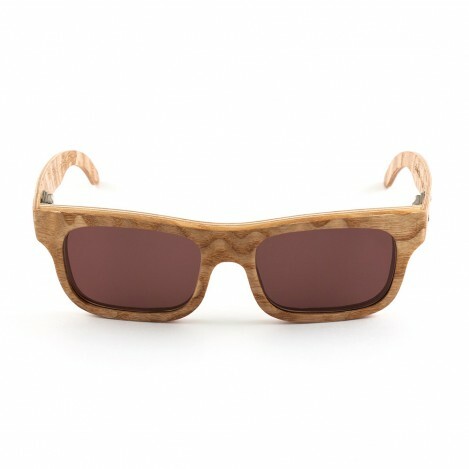 Wooden sunglasses handcrafted in England. A modern fashionable with a superior plywood core giving strength and durability whilst being extremely lightweight. 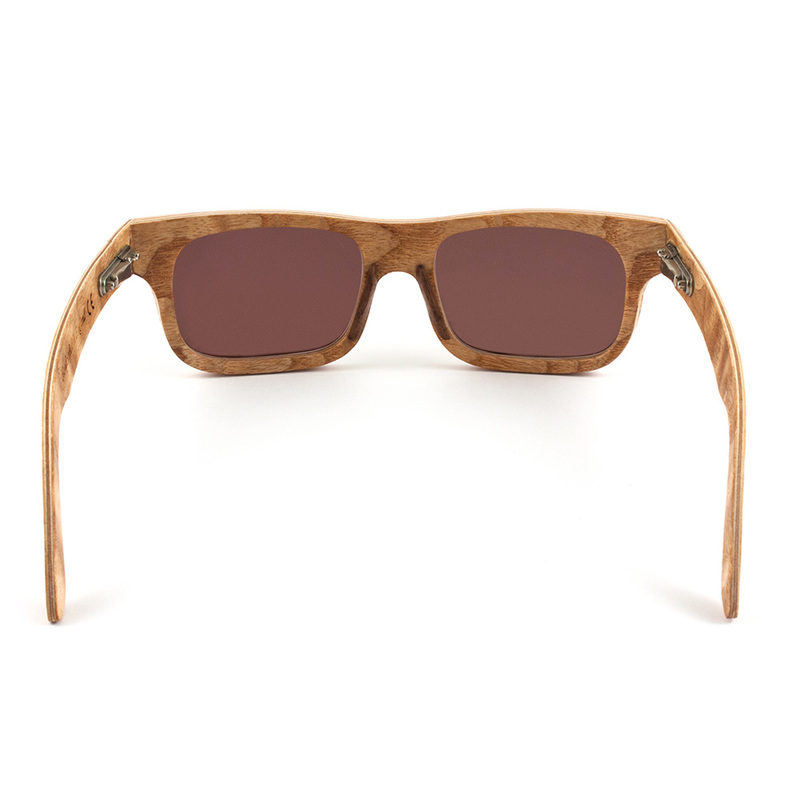 Made with Tamo Ash from East Asia, the grain pattern is highly unusual and visually striking.